The Stovax View 8 stove is designed to provide high efficiency heating for contemporary homes as well as creating an outstanding focal point for your living space. 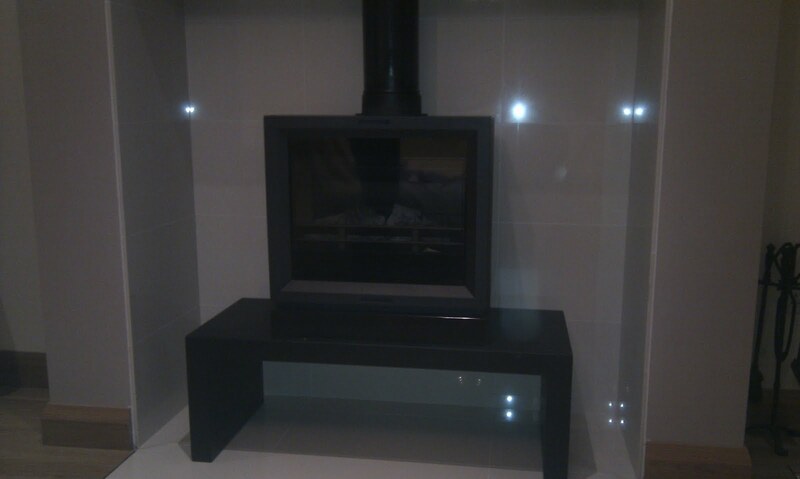 Choose from either the woodburning only model or the multifuel model, the latter incorporating a riddling grate to allow you to burn smokeless fuels. An optional glass top is also avaiable. 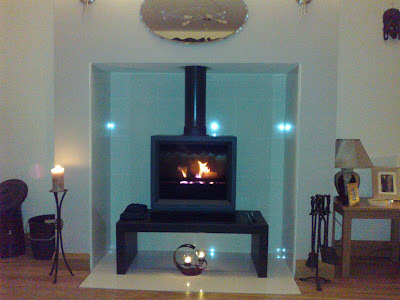 In this fitting job, the stove is sitting on the Stovax 100 high bench which compliments the modern finish of the room.